The benefits of your business working with professional catering services are relatively obvious; they take care of the food so you can concentrate on what you do best. Whether your business holds infrequent functions or requires a catering service to provide meals for in-house staff on a regular basis, catering companies are the perfect solution. Such a collaboration ensures your business is guaranteed to be portrayed in a positive light, as all food provided will be produced to an exceptionally high standard and by using an outside business catering service, your company could save a great deal of time and money. However, you will only experience these benefits if you choose to hire a quality catering company and many business owners make the mistake of not being thorough enough during the hiring process. Not sure of the best way to approach this task? During this article we are going to explain some of the biggest mistakes you should avoid when hiring a business catering service for your company. If selected carefully, catering services can become a real asset to your business rather than just another expense to add to your balance sheet. To ensure you have the best chance of selecting a quality caterer, don't commit these errors that so many other companies in the GTA have done before you. Not Sampling the Product - Before making an agreement with a company for business catering, you first need to find out whether they are capable of delivering what they say they are. The best way to do this is to simply sample a range of food that they produce (ideally the type of food that you would like them to prepare for you). Catering companies are usually open to this since they know that as long as their "product" is good, their services will be in demand. Making a Decision Based on Price - Rarely, if ever, is the cheapest solution (to the problem you're trying to solve) the best. A quote that is significantly lower than any other that you receive should usually be discarded, since this provider will often have to cut corners to be able to provide your catering for such a low price. This results in lower quality food and service. Look at the bigger picture and assess which business catering service is offering the best quality food and assistance within your budget. Not "Shopping Around" - Anytime you make a significant purchase you will always shop around to assess the different options available to you; looking for a business catering service should be no different. Don't fall into the trap of hiring the first catering service you see advertised as you will probably come to regret this decision later on. Let them know that you will "get back to them" after you've looked at a few other options. This may even result in the caterer lowering their price in a bid to secure your custom. Failing to Ask for References - Unless you've used the caterers you're considering before, you have no way of assessing whether they can back up their claims, which is why you need to use the experiences of people who have used their services to your advantage. You can do this by asking for references, but this is something many businesses fail to do, instead taking the catering company at their word. Not Asking Exactly What's Included - Failing to be specific when contacting catering companies to enquire about business catering is a big mistake and could result in you ending up with things that you don't particularly want or need. The opposite is true also and it's very dangerous to make assumptions as to what is included in the quote you are provided with. There is a simple solution though: Ask. Hiring a business catering service is actually a very simple process if you cover all the bases and resist the urge to take short cuts. 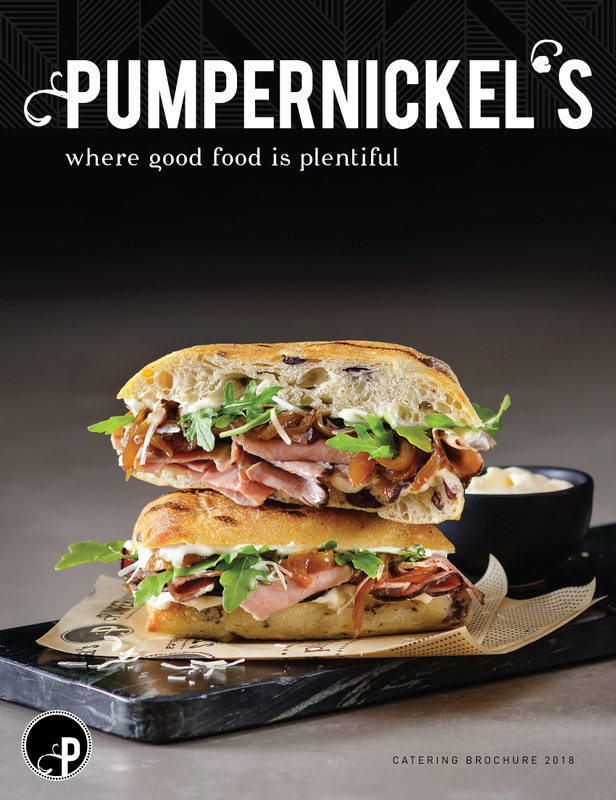 Pumpernickels provides a customised business catering service to a host of clients in Toronto, Mississauga and other areas of the GTA, and has a track record of success that spans close to three decades. If you would like to find out how we could assist your company, simply pick up the phone and talk to a member of our team today.